*This is the thread for the Field Pack release, not for the FacePalmer script. See FacePalmer v3.0 for that. 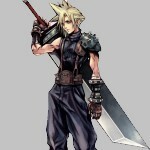 A 100% complete collection of 4x-resized background textures for FFVII. These are the result of my field resizing batch script FacePalmer. In addition, dozens of special cases were finished by hand. Download the 3GB field pack. Then, if there are other files that have been fixed, you can download those and apply them individually. *It is recommended not to use the 'remove glitched textures' option in Bootleg or you may irreversibly lose a lot of playable content. *If any of these links go dead, send me a PM (it emails me instantly). If you have trouble installing or getting files downloaded, post in this forum so that others can respond with help. Don't hesitate to PM me if you find any issues with in-game bugs or quality. I haven't had a chance to playtest everything myself, so there may yet be a few things that aren't completely right. And i answered my own question. This will tide me over until T.A comes out. I'll report back when i've tested them. Just wanted to say thanks so much for doing this and making it available to everyone. Starting a new game... so far the backgrounds are the best I've seen in game. Absolutely loving it. I am still pretty dissatisfied with the lighting problems, but I'll eventually get around to fixing that. At first i want to thank you guys for this awesome project, you pushed my favorite Game with these Backkgrounds to a new Level ! My Final Fantasy VII will not load the new Background files. I have no clue why the Driver wont load the new Backgrounds, i hope you can help me in this case. All the mods go in the .\mods\field\ folder. Right now you have them in the root mods folder. i need to edit my app path ? Only modify the mod_path located in the config file. Then place your FacePalmer folder inside F:/Square Soft, Inc/Final Fantasy VII/mods folder. Your problem is entirely mod_path related, no need to change the app path or anything else. OK so I have a little annoyance with this. I extracted all the folders and put them in my field directory in my modpath. The pack would not load in game. After further inspection I noticed that each folder contained another folder inside with the PNGs. I had to move the folder with the PNGs into the field folder, and replace the original folder to get this working. Only thing is there are 667 folders in this bad boy. Is there an easier way to get this working, or am i missing something? What I did test and got working looks so much better than the original though! Make sure there is no period (.). Refer to the FacePalmer thread for more info on that issue (page 4). I know they need to be in their designated folders, but extracted as they were wasn't working. Example: Pillar_1 has a folder inside named Pillar_1. Inside the second folder are the PNGs. What I did was copy the second folder, back out to the field folder and replaced. Only when i did that is when the PNGs would load. But I don't wanna have to do that for 667 folders lol. Would take forever. I have those double folders. Shouldn't be a lot of work involved. I used winRAR to unpack everything and it does it more or less automatically. The first time I tried to do it, I ended up stuck with folders within folders thinking I needed to manually unpack them... So i started over. I don't remember the order of operations off the top of my head, and I deleted the big file after I was finished. Basically, you unpack the big rar file you downloaded, then you get a big folder full of more rars. So: select all > right click > extract to a folder of your choice, and I think that's pretty much it, except it took my computer about 5 minutes to unpack them all. so the files are in my C:\Program Files\Square Soft, Inc\Final Fantasy VII\mods\DK\field directory. Hope that helps! That's just how it worked for me. Now it works, and it looks incredibly awesome ! I finally got it working too. All I did was start over and follow what Template did. Funny thing is, I did the exact same thing the first time around Anyways, awesome job Omzy. Everything looks 100x better! Again, I apologize for the messy distribution. I'll make sure the next version is more drag-and-drop. I'm really stunned at the low number of missing or buggy scenes. There are very very few of either. Some of the scenes are so nice that it makes boring parts worth replaying, like the long Kalm flashback culminating in the mysterious confrontation between Cloud and Sephiroth at the Nebelheim reactor. All of the scenes in the reactor are perfectly converted and it really adds to the suspense and tension. Night and day difference. Almost had a seizure when the game starts flashing between cloud and Seph each with swords drawn. Its a good thing I read here before installing or I would have to of restarted on such a big file. finally got around to installing this and i've gotta say man. WOW. It looks fantastic. Im downloading with uTorrent right now but wth is wrong with the speed 4kb?? no seeds? I'm not seeding now, got problems with Internet. I will later anyway.